Learn more about the project, and find instructions, equipment, catapult lesson plans and other documents. Watch the movies: STEM Tech-Explorer Catapult – Sierra School Works Applied Math and Sierra College NSF Tech-Explorer teaches applied Math & inspires STEM Careers. See the CCCAOE Spring 2011 PowerPoint: Tech-Explorer – Instructional Strategies to Engage All Students. The grant-funded pilot project brings a “shop-in-a-box” to school sites. 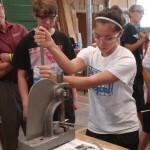 Students use power and hand tools to produce parts and assemble catapults. 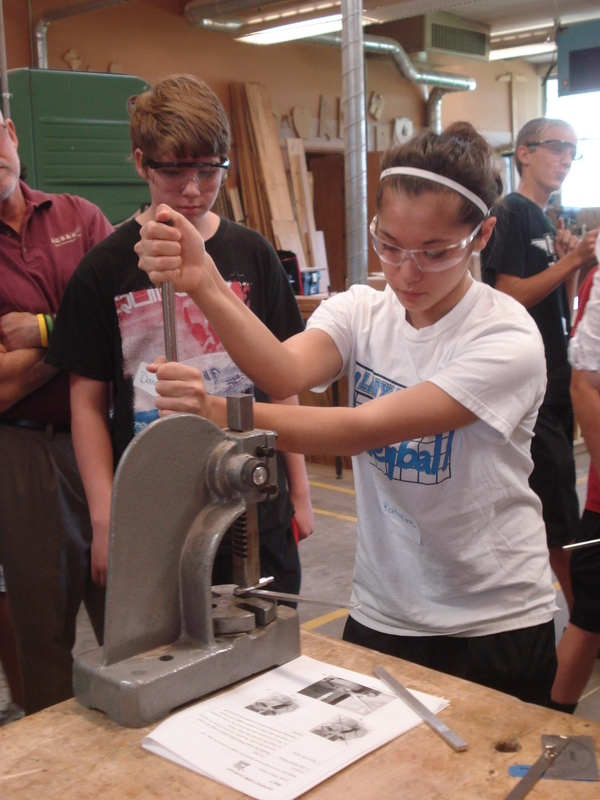 Students explore design, engineering and production careers. There are now manual, electric, solar and electronic versions. Some schools have their own tools and are building catapults. Other CACT offices are offering this project. 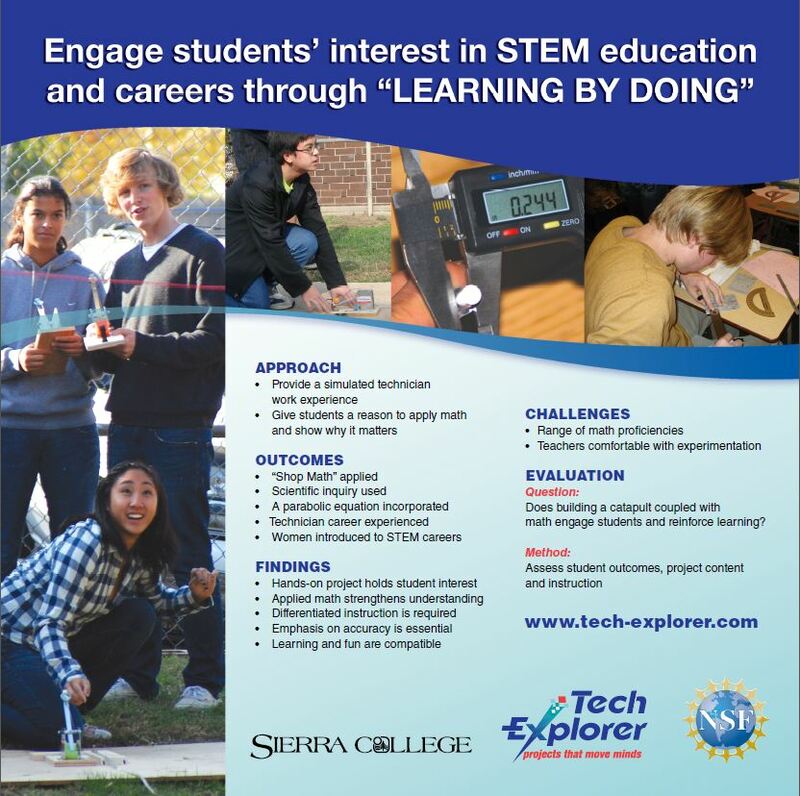 The Sierra College NSF grant will add math lessons to the Tech-Explorer project. For information in Placer or Nevada Counties, contact Sierra College CACT at 916-660-7801. Elsewhere in California, contact your local Center for Applied Competitive Technologies (CACT) through cact.org. To help others develop similar projects, this site includes instructions, equipment, documents, catapult lessons and news.